Guest lecturer Amy Buono spoke about the functions of the Civil Police Museum of Rio de Janeiro, which collected a wide variety of Afro-Brazilian objects associated with criminal investigations of early 20th Brazil. PROVO, Utah (April 9, 2014)—We readily associate museums with words like education, appreciation and preservation. What might not come as quickly to the mind is a word usually reserved for buildings less likely to host school fieldtrips: incarceration. Established in 1912, the Civil Police Museum of Rio de Janeiro stands apart from other museums by serving as a school for police training. In its early days, the museum trained law students how to see and detect crime. A large bulk of that training used objects collected in the museum. Over the years, the museum has become home to an enormous collection of contraband items seized in arrests and police raids, including handguns, illegal drugs, gambling equipment and military-grade weapons. Police academy students studied these items in order to be able to recognize crime in all its forms. Perhaps the most unique exhibit within the museum is the “Collection of Black Magic.” As its name suggests, this exhibit houses items authorities deemed to have occult significance. By and large, this applied to anything having to do with the Candomblé religion. Candomblé originated as a blend of West African beliefs with Catholic practices and was popular among descendants of African slaves in Brazil, who practiced it as a tie to their cultural roots. The religion came under condemnation by both the Catholic Church (who deemed it heresy) and the Brazilian government (who connected it with communism). This led to institutionalized oppression of Candomblé, and police officers routinely confiscated any items tied to the religion. The museum then used these items to instruct students how to recognize this religious practice and better combat it. However, despite aiming to suppress Candomblé and Afro-Brazilian culture, Buono believes that the “Collection of Black Magic” had an opposite effect. 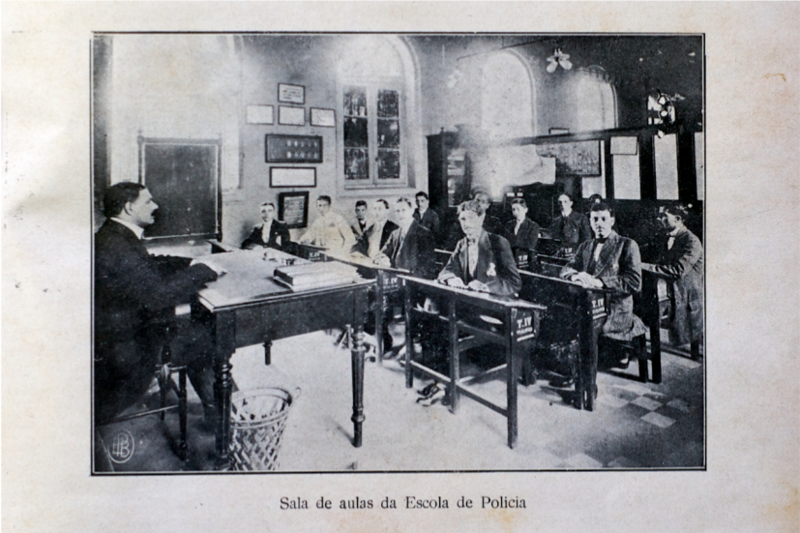 Rather than mere suppression, this collection established Brazil’s first corpus of cultural patrimony through historic preservation in the police museum.